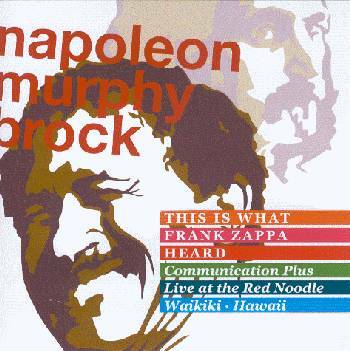 Napoleon Murphy Brock’s physical CD, This Is What Frank Zappa Heard, recorded live at the Red Noodle in Waikiki, Hawaii on September 9th, 1973 gives an example of what Frank Zappa heard when he was looking for a lead singer for the Roxy band. Available from CDBaby for $19.00 (US). Listen to brief samples here. Ever since The Scott Thunes Effect (later known as Bass Notation), went offline, I’ve received numerous requests of people asking if I or anyone else could provide them with Thunes’ bass transcriptions for many of the ’88 band’s tunes, as they were originally listed there. Today I’m happy to report that we’ve managed to salvage 44 pages of transcripts (with a couple more to follow). A huge thank you goes out to Stewart Cable, who had downloaded the transcripts back when they were still available. He was more than happy to email them to me, so that I could share them with you – so cheers Stewart! Note: by putting this material online, I am not claiming any authorship and/or copyright. If not for Steve D who did the original transcripts, these files would not even exist. 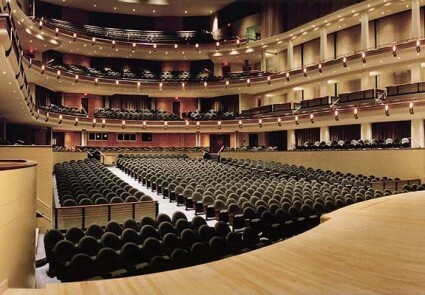 Of all the live concerts in my music collection, today’s particular show had proved to be one of the most difficult to find because of it’s uniqueness and it’s rarity among live show collectors. It had been on my most wanted search list for a very, very long time. Of course, I’m talking about the group known as Mallard, formed in 1974 by Bill Harkleroad (Zoot Horn Rollo), Mark Boston (Rockette Morton) and Art Tripp III (Ed Marimba) after leaving Captain Beefheart‘s Magic Band. It was during Mallard’s European tour in 1976 that they performed the German TV Show ‘Rockpalast’ on September 7th, 1976. I’d like to dedicate this particular post to my friend, and fellow KUR-Meister, Balint, who recently reminded so well that sometimes it’s worthwhile just to post just for the fun of it all, and for the love of the music, itself. Nothing could come closer to that description than the few videos I recently discovered while surfing about the internet of The Space Brothers and Mike Keneally (also featuring Bryan Beller) performing on August 16th, 2009, at the Red Dock Saloon in Saugatuck/Douglas, Michigan, on the lakeshore of Lake Michigan – a venue well known for it’s good food, cold beer, loud music, and nasty bathrooms. Although the audio is somewhat muddy at times, the guitar work in these videos is often absolutely sublime – especially the guitar work in their cover of Frank Zappa‘s “My Guitar Wants To Kill Your Mama” (above). There are instances I am reminded how much I miss FZ’s live guitar improvisation, and why Keneally is considered “the leading progressive rock genius of the post-Zappa era”. Listen to their cover of “Cosmik Debris” as well as a riff from “Inca Roads” (both below) and decide.